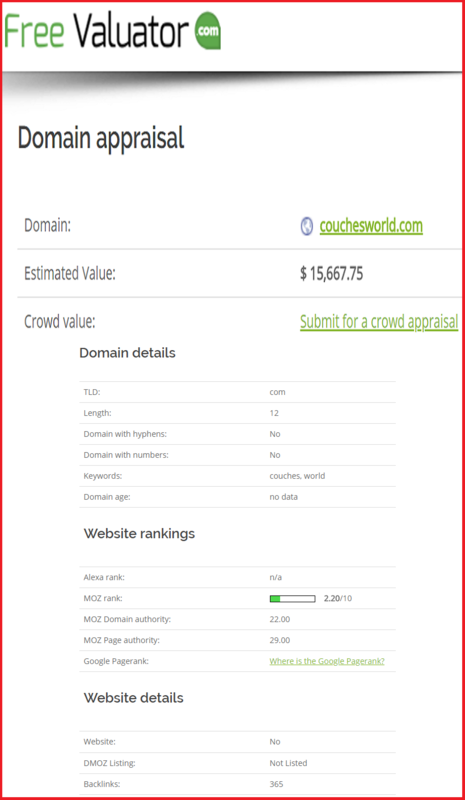 A Powerful Aged Domain With Great Stats! This 15yr old site was first registered in 2001 but only started trading in the furniture industry in 2014. Great for the specific furniture on couches but can also be used for gaming as an alternative. A great name for a brand, business or blog that can be used in various niches!